"I take pride in claiming that we are the number one coconut producer in the country, not because Mati is the biggest producer of coconut, but because Mati is the capital town of the biggest coconut producing province and that is, Davao Oriental,” said Mayor Michelle Rabat during the first Mindanao Coconut Summit a few years ago. The Philippines is the world’s second largest producer of coconut products, after Indonesia. But the Philippines is the top exporter of coconut products (about 64 percent of the world’s copra and coconut oil comes from the Philippines). About 25 percent of cultivated land is planted to coconut trees, and it is estimated that between 25 percent and 33 percent of the population is partly dependent on coconuts for their livelihood. Unknowingly, coconut (scientific name: Cocos nucifera) is not a nut but a fruit. The term coconut pertains to the fruit while the tree is called a coconut palm. Coconut received the name from Portuguese explorers, the sailors of Vasco de Gama in India, who first brought it to Europe. The brown and hairy surface of coconuts reminded them of a ghost or witch calledcoco. Before that, it was called nux indica, name given by Marco Polo in 1280 while in Sumatra. When coconuts were brought to England, the name coco was retained and nut was added. On the average, the edible portion is 72 percent by weight; the remaining 28 percent is the inedible shell. Fresh coconut meat is rich in fat and carbohydrates, and contains moderate amounts of proteins. It also contains thiamine, vitamin C and traces of vitamin A. Coconut proteins are high in nutritive value, and are fairly rich in lysine, methionine, and tryptophane. Copra – the dried coconut meat – is coconut’s main product. It has high oil content, as much as 64 percent. Coconut oil, which is the most readily digested among all the fats of general use in the entire world, furnishes about 9,500 calories of energy per kilo. Its chief competitors are soya bean oil, palm oil, and palm kernel oil. Some studies have shown that coconut oil retards aging. It also counteracts heart, colon, pancreatic and liver tumor inducers. Aside from coco meat, the kernel can produce flour (which can be used as a wheat extender), desiccated coconut, coconut milk (gata), coconut chips (very popular in Hawaii), candies, and bukayo. It can also be a main ingredient for pies, latik, and copra. 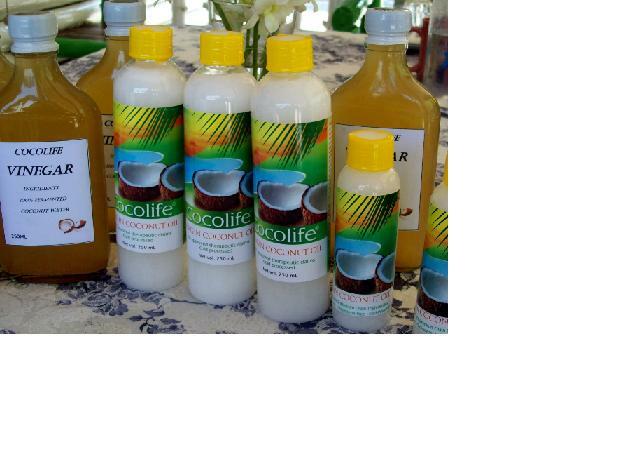 Another popular product from coconut is the buko juice, also known as liquid endosperm. The juice is promoted as a water therapy to cure renal disorders. Called bukolysis – a brainchild of Dr. Eufemio Macalalag, Jr. -- it is a process of reducing or dissolving urinary stones of the urinary tract systems using buko water from seven- to nine-month old coconuts. Other uses of coconut water include coconut water vinegar, coconut wine, and production of the chewy, fiber-rich nata. Coconut can be made into musical instruments. In the film, Monty Python and the Holy Grail, half coconut shells were used to make sound effects of a horse’s hoof beats when banged together. The coconut shells are also used to make the base of musical instruments such as the Chinese ban-hu and yea-hu. The coconut shell can also be carved out to make fashion accessories like necklaces, bangles, pendants, earrings and so on. In Hawaii, people use coconut shell to make the buttons for their Hawaiian shirts. Coir, the fibrous husk of the coconut, is used in a surprisingly large number of ways. Ropes and yarns, aquarium filters, car seat covers, flower pots, soundproofing, mulch for plant growing, heat insulation, brushes, bristles, mattresses, door mats and matting, rugs, carpets. The list goes on and on! Out of the bud of the coconut tree’s inflorescence is a juice called coconut toddy or tuba. Toddy can be taken as fresh beverage, as an alcoholic drink (once fermented), and it could also be used in making vinegar, coconut sugar, and as a source of yeast for making bread. The coconut industry is considered a million dollar earner and coconut is the country’s fifth export product. During the Martial Law, then President Ferdinand E. Marcos created Philippine Coconut Authority (PCA) under Presidential Decree 232. One document obtained by this author noted: “The PCA was established to stabilize the price of coconut products for the benefit of the farmers. To fund PCA, it was authorized to collect fifty-five centavos levy for every 100 kilos of copra produced. This levy was increased to P20 in 1974. 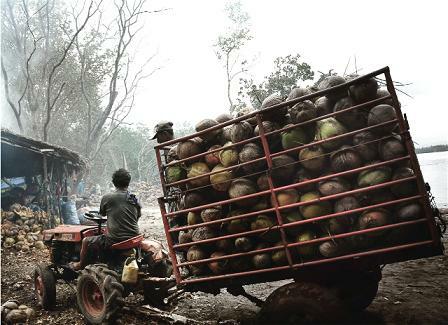 As the issue of coco levy fund won’t die, life goes on for most coconut farmers. “The coconut industry is half of what it was 25 years ago and yet it is still the main source of income for around 20 million Filipinos,” said Senator Edgardo J. Angara, chair of the Senate Committee on Science and Technology. 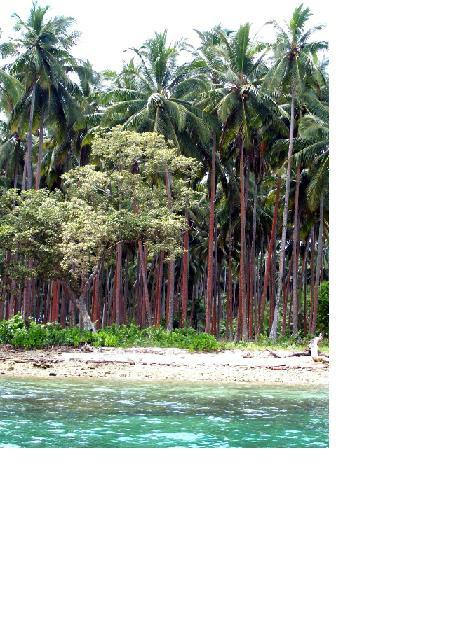 Unfortunately, most of the coconut trees grown in the Philippines are now very old. 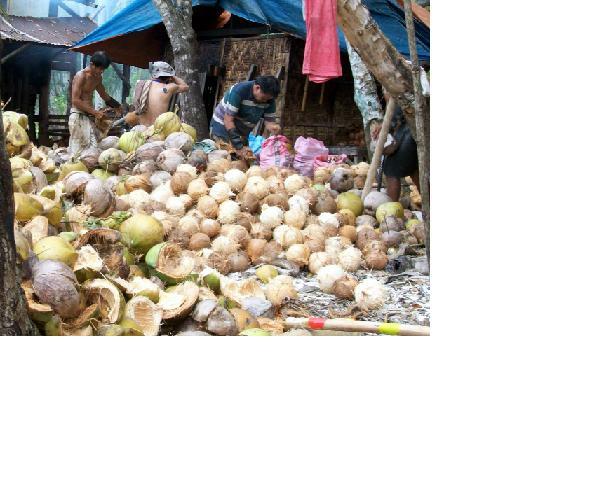 Fifteen out of every 100 coconut trees are “past retirement age,” according to Aurora Representative Juan Edgardo Angara and Quezon Representative Danilo Suarez. More than 44 million coconut trees are at least 60 years old, commented Senator Francis Pangilinan. “The worry right now is we’re cutting more than we’re planting,” Cong. Suarez deplored. For his part, Sen. Pangilinan urged the Department of Agriculture to set aside P5 billion from a P27.1 billion meant for irrigation projects and invest the money in the coconut industry instead. “We need to revive this dying industry, invest the necessary government funding to boost coconut production, ensure the income of our farmers, and develop a roadmap for the sustainability of coconut production,” he said.